Annual season ticket. One ticket. 1000 adventures. Our combined annual season ticket means you can enjoy the Cable Car and fortress on 365 days a year: travel as often as you wish and visit the exhibition buildings in the fortress, stroll through the extensive grounds and enjoy the view and the breathtaking panorama. Adults: pensioners with identification, disabled persons with identification • recipients of type II unemployment benefit and other types of basic income • Children: ages 7 - 17 • Schoolchildren, students, trainees with identification, persons performing youth or federal voluntary service with identification • Groups of children and schoolchildren: two accompanying adults free of charge. 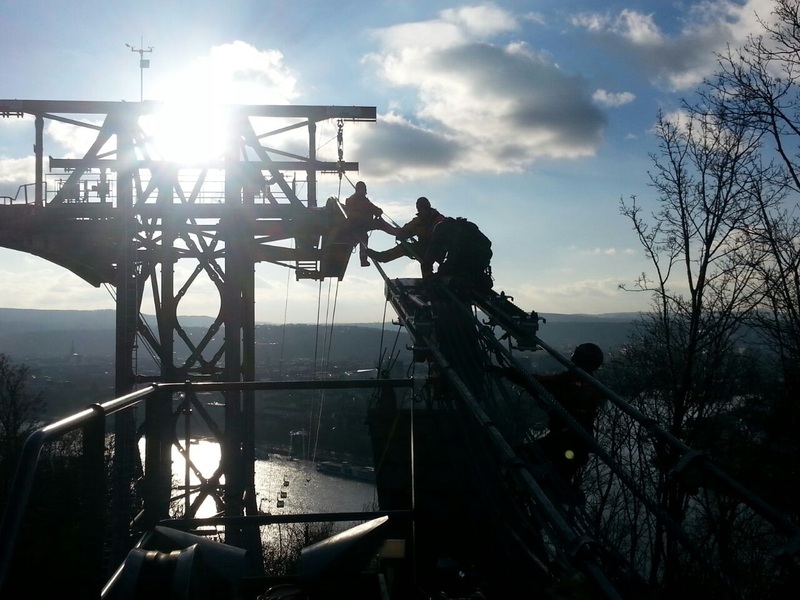 a) The annual season ticket for the Cable Car allows multiple journeys with Koblenz Cable Car during official operating hours and for all public events even outside official operating hours as publicised. Closed-off areas and events organised by third parties are excluded. b) The annual season ticket for the fortress allows free admission to Ehrenbreitstein Fortress during opening times subject to admission charges and to events organised by the Directorate General for Cultural Heritage in Rhineland Palatinate. Closed-off areas and events organised by third parties are excluded. c) Combined annual season ticket: a combination of a) annual season ticket for Cable Car and b) annual season ticket for fortress. The annual season ticket is issued to a named person and it is not transferable. By using Koblenz Cable Car you enter into a contract of transportation with Skyglide Event Deutschland GmbH, Inselgraben 6/II, 88131 Lindau. The valid Terms and Conditions of Transportation can be viewed at all ticket offices and on the Internet at www.seilbahn-koblenz.de/befoerderungsbedingungen . A fee of € 5,- will be charged for reissuing a lost or damaged annual season ticket. All prices are gross prices and include 7% VAT.